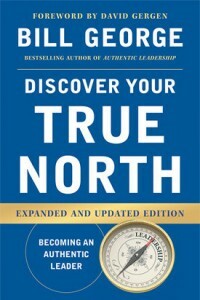 Discover Your True North is a leadership classic for all generations. In guiding you toward your own True North — the internal compass that guides you through life — Bill George also skillfully encourages principled global leadership. Authentic leaders change each other, and the world, for the better. Discover Your True North is a clarion call for that change. Each chapter delves into the life stories of 101 global leaders who exemplify its lessons. Culled from Bill’s personal interviews with diverse leaders like Arianna Huffington and Warren Buffett, these stories will clarify your understanding of each principle. In clear, compelling prose, Bill then guides you through observations and questions that set you on the path toward your own True North. Discover Your True North is a must-read for leaders in all walks of life, from young managers to successful CEOs. Have you ever asked yourself, “How can I become the best person I can be?” If so, then this book is for you, too.